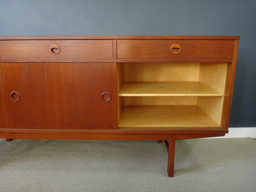 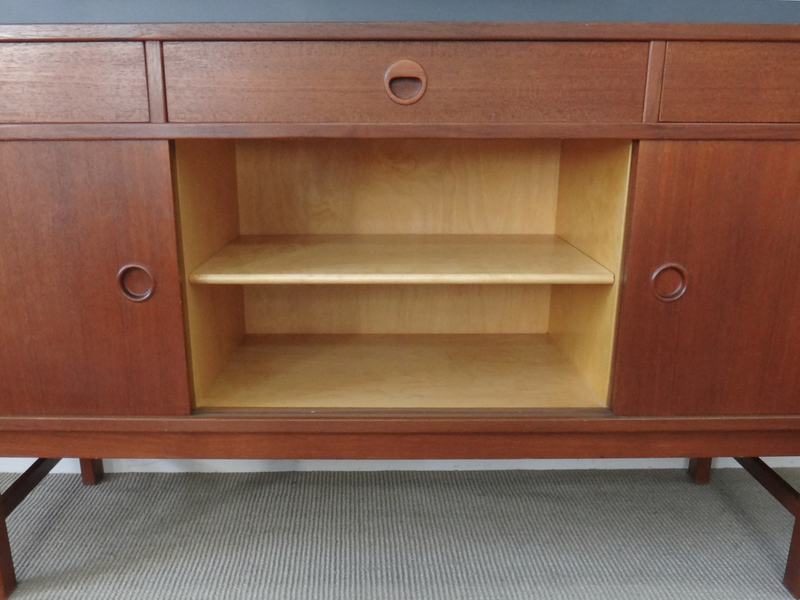 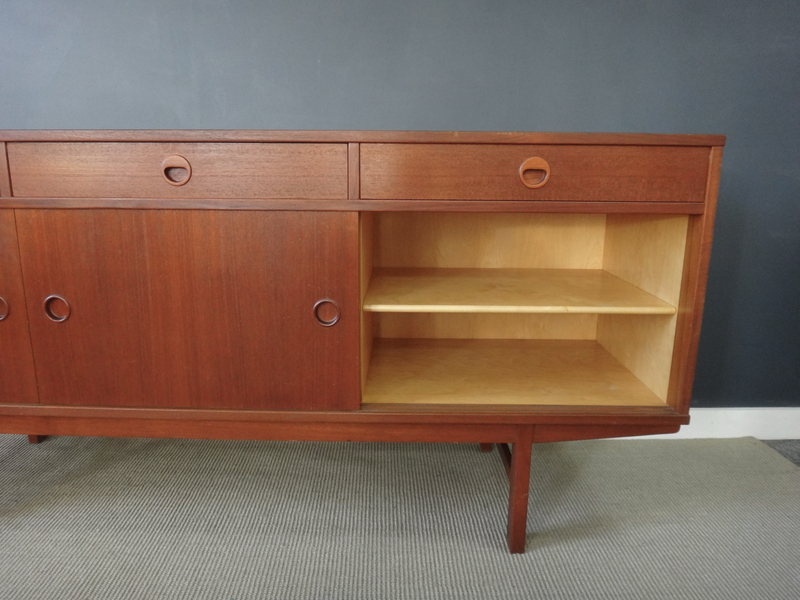 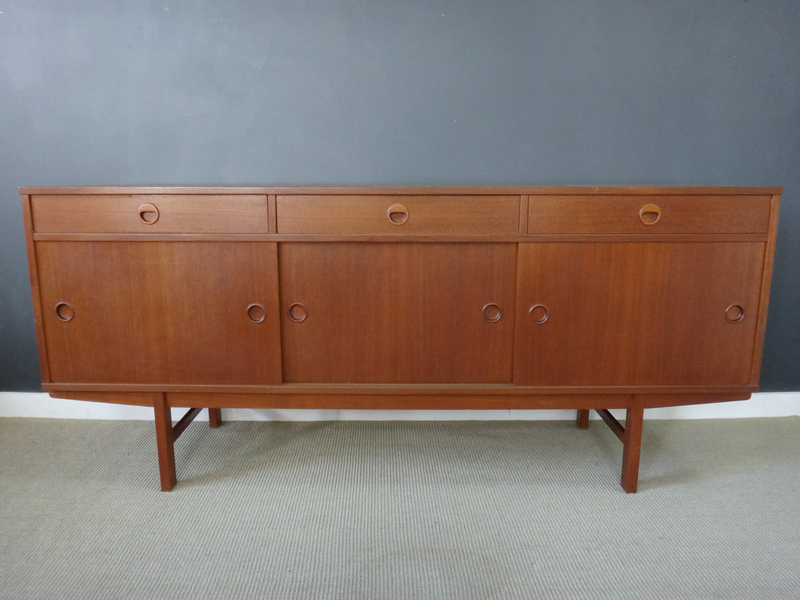 This elegant teak credenza was designed by Folke Ohlsson in 1960 and manufactured by Dux in Sweden. 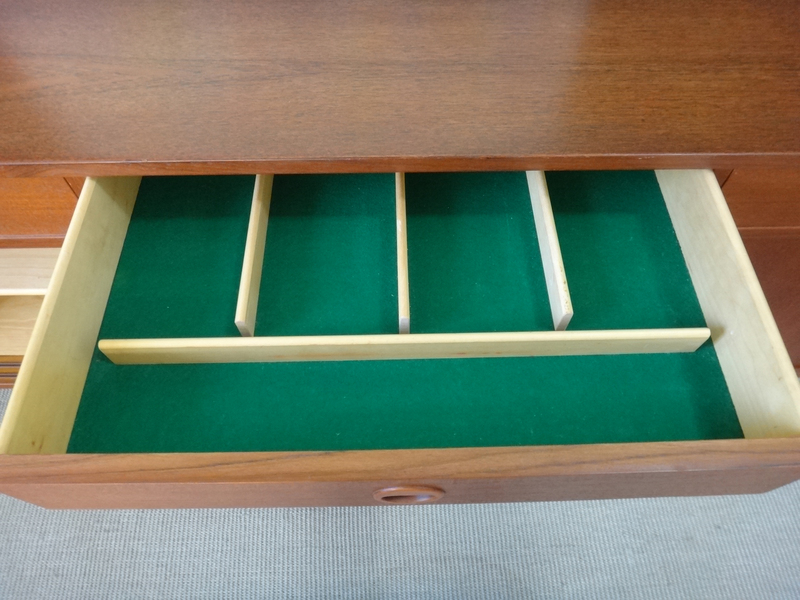 Each of the three sections contains a single adjustable shelf. 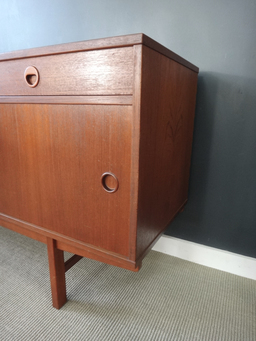 Interior of cabinet and drawers are beech. The center drawer is felt lined and has dividers for silverware. 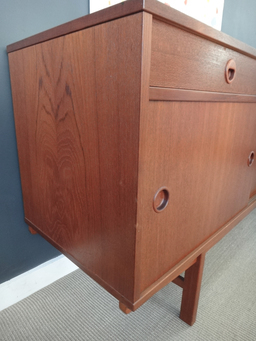 Inset circular wood drawer pulls. This piece had one owner and is in excellent condition.